Rory MacDonald did not become a double champion at Bellator 206, and he knows its on him. 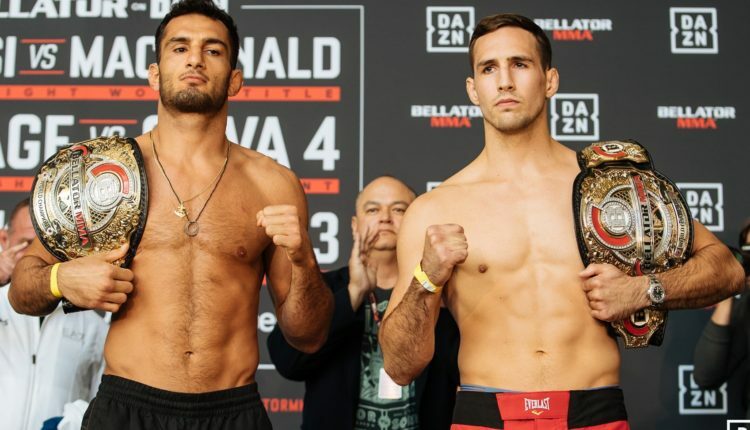 The Bellator welterweight champion was looking to be the promotion’s first “champ-champ,” facing Gegard Mousasi for his middleweight title in what was promoted as the biggest fight in Bellator history. MacDonald would not be able to stop Mousasi, as the middleweight king would dictate the pace before stopping the Canadian fighter in the second round. Early Sunday, MacDonald would express his disappointment in his loss in the Bellator 206 main event. Last night was a tough one for me, unfortunately I didnt mentally show up ready to take on a competitive fight and froze in the cage. In this sport you pay a high price if you’re not dialed in and ready to go. I have zero excuses, gegard was a fantastic champion last night. The former UFC star now walks into the Bellator Welterweight Grand Prix, where he will defend his title in each round he makes, facing off against Jon Fitch in the quarter-finals.